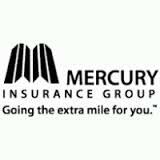 Mercury Insurance is one of California’s largest auto insurance carriers. In a recent decision, Mercury Cas. Co. v. Chu, 229 Cal. App. 4th 1432, 178 Cal. Rptr. 3d 144 (2014) the Fourth District California Court of Appeal has upheld a $333,300 judgment despite protests by the insurance carrier that the claim was not covered. Mercury Casualty issued an insurance policy to Hung Chu insuring his automobile. Chu was driving with his roommate, Tu Pham, when Chu collided with another vehicle, injuring Pham. Pham filed a personal injury action against both Chu and the driver of the other vehicle. Mercury agreed to provide Chu with a defense to the lawsuit under a “reservation of rights” but, asserted that Pham’s injuries were not covered because Pham qualified as an “insured” under the policy due to the fact that he resided with Chu at the same address. The policy broadly defined an “insured” to include “residents,” defined as, “an individual who inhabited the same dwelling as the insured.” According to Mercury, the permitted exclusion authorizing auto liability insurance to exclude coverage for bodily injury claims brought by an insured applied and they should not have to pay the judgment against Chu by Pham.